Posted on January 25, 2010 January 25, 2010 by Debito Arudou Ph.D.
Hi Blog. Young-Turk Osaka Governor Hashimoto has been suggesting some interesting reforms recently, one of them, according to the Japan Times, is to close down Osaka Itami Airport (relocating all flights to KIX), and to use the land for creating an international campus, where international schools and universities would be located and the lingua franca English. Under [Osaka Gov] Hashimoto’s plan, Itami [Airport]’s 400 hectares would be turned into what he calls the International Campus Freedom City. Up to 20,000 people, including many foreigners, would live in the area, which would be home to international schools and universities. The common language would be English. “To turn out talented workers of international stature, all elementary, junior high and high schools in the international free city will be instructed in English,” the plan reads. 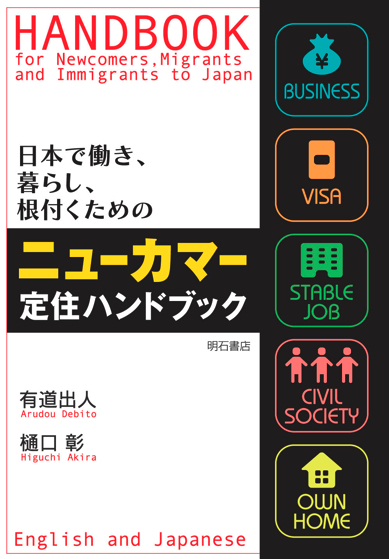 The governor envisions an influx of highly skilled foreign workers in certain sectors who would serve as language tutors to interested Japanese students. 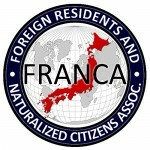 “Along with attracting highly skilled foreigners who specialize in biotechnology, new energy and other strategic industries like cutting edge medicine, incentives such as reducing income and residency taxes for foreigners who offer home-stays to Japanese wishing to learn a foreign language in a native linguistic environment could be given,” the plan reads. It could be worse. It could be Kansai or Kobe Airport. On a more serious note, for people looking to first step into Japan, this could be very helpful, but for long-term, as mentioned before, it would just be a NJ ghetto, they’d probably apply different laws for it as well. Also as mentioned before, people interested in molding it into something better should write a proposal to influence the project directly. Call me cynical, but this plan just sounds like a way of exploiting NJ for English practice. I think its a great idea! You should just make sure that the top chief executive branch of the organization is of high English-language caliber. even if that means including someone without a Japanese name and face and passport. we already have something like this in Kansai. It’s called Rokko Island. For those who don’t know, it is a man-made island. It is separated out from the rest of Kobe and has an isolated feel to it. It has a large, highly skilled, non-Japanese population centered around the main employer on the island, the P&G regional headquarters. There is an international school, the Canadian Academy, who teaches in English. There are English signs everywhere, many of the businesses have English speaking staff, etc. I once took the Rokko liner (the train that takes you to the island) at 8 am and I heard people, Japanese people, speaking to each other in English. Outside of my classroom, I have never experienced that before. When I used to live in Eastern Kobe, and felt like I needed some time away from Japan, I would go out to Rokko because it always felt like I had just left the country. What I think makes the environment in Rokko so attractive, and why it works so well, is that it arose naturally, organically. It was not artificially created by the government. Which is why I don’t think that the proposal for Itami will work. It will feel like a theme park because it will be artificially created. My employer is presently moving its warehouse from Osaka to Tokyo (close to Haneda) because Itami airport does not offer flights after 20:30. Closing down this really easy to use airport would cause even move international companies to move to Tokyo. Sounds like the opposite effect of creating an international city doesn’t it? There are other languages in the world besides English. Its sad that Hashimoto doesn’t seem to recognise that. 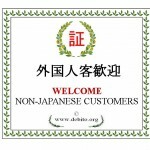 If it was a multi-language and cultural learning environment, I’d be interested in supportin it. As it stands, I can only speak for myself but as a long term foreign resident here, an eikawa encampment is a place I will avoid and not recommend. As a former (9 year) resident of Kobe (Kita-ku) who used both Itami and Kansai Intl. frequently, I think this proposal smacks of the same foolishness as the anti-democratically built Kobe Airport. This latter facility flounders because it was built for political purposes, against the loudly expressed will of the city residents. Where I lived, only Itami was convenient, which is all the more true for most who live in Osaka. The other two are perpetually financial basket cases since natural economic demand shows that only Itami is really convenient for the bulk of the metropolis’ residents. Forcing closure of the overused one thus compelling all to go to one or the other of the underused facilities, would come at great cost to consumers in both time and transportation costs will assuredly hurt, not help the Kansai region. Given the reality of English as a worldwide language of international discourse, if the government is going to build such a school, I don’t see anything wrong with the Japanese government focusing on it alone in some sort of international education area, but it should not be done at the expense of Itami! Most of the rich people and businessman of Osaka live in the northen part of Osaka, while KIX is at southern Osaka, which is very far away and inconvenient for them. Even though KIX has many international flights, I know many Japanese people in Osaka who prefer to fly from Itami to Narita and depart from Narita to go overseas, instead of departing from KIX because KIX is too inconvenient. — That’s hard to believe, given what a crappy airport Narita is, how long a layover Narita changes require, and how much trouble it is generally to insert another airport departure in your itinerary. Since Air Canada pulled out of KIX, the Itami – Narita – Toronto route has become a real money maker for all concerned. KIX – U.S. destinations is still good, however. KIX will continue to decline until there is a drastic reduction in landing fees. It’s all rather sad, as KIX is a great airport, once one gets there. This all means that Itami is not going to close anytime soon.